One of the most hyggelige activities I can remember taking part in as a kid was crab fishing. 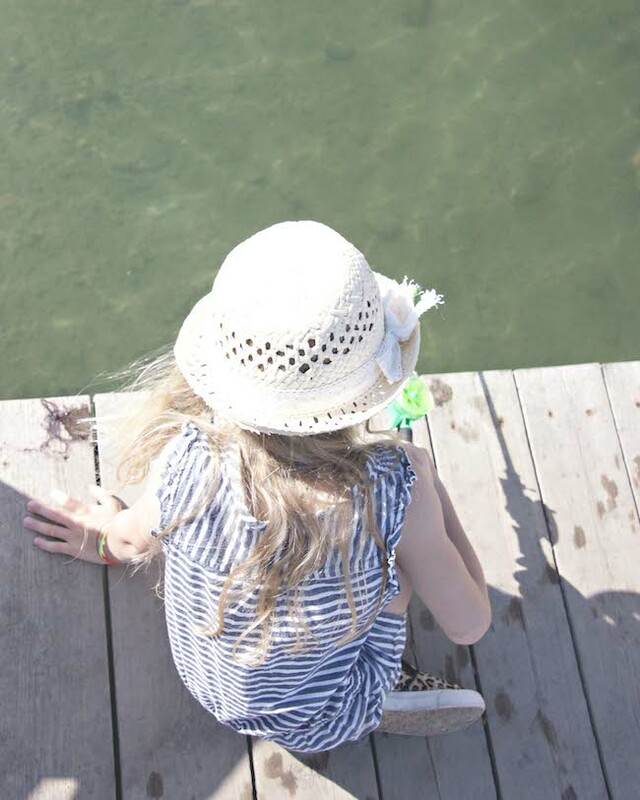 In seaside towns you’ll see hoards of children hanging off jetties with a fishing net, or a piece of string, trying to catch crabs. It takes patience, but when you get the technique right, it is one of the most fun things to do. A fish carcass or some meat from your lunch. If there is a fishmonger nearby they will usually let you have some fish offcuts for free. 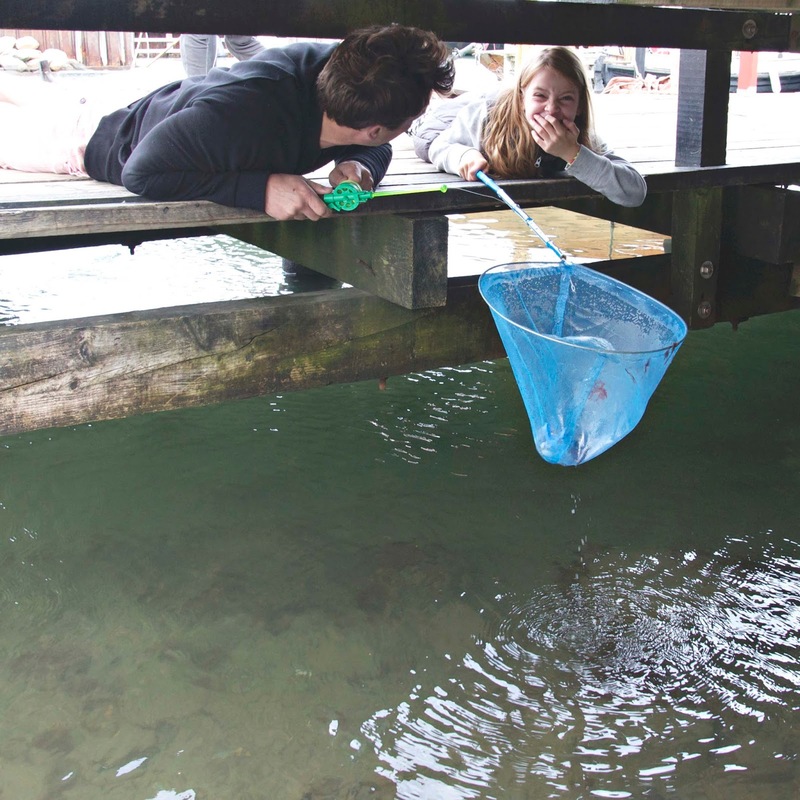 A fishing net makes it easier to get the crab into the bucket – otherwise, it might just jump back in the water. Avoid handling the crabs as they can give you a sharp nip. 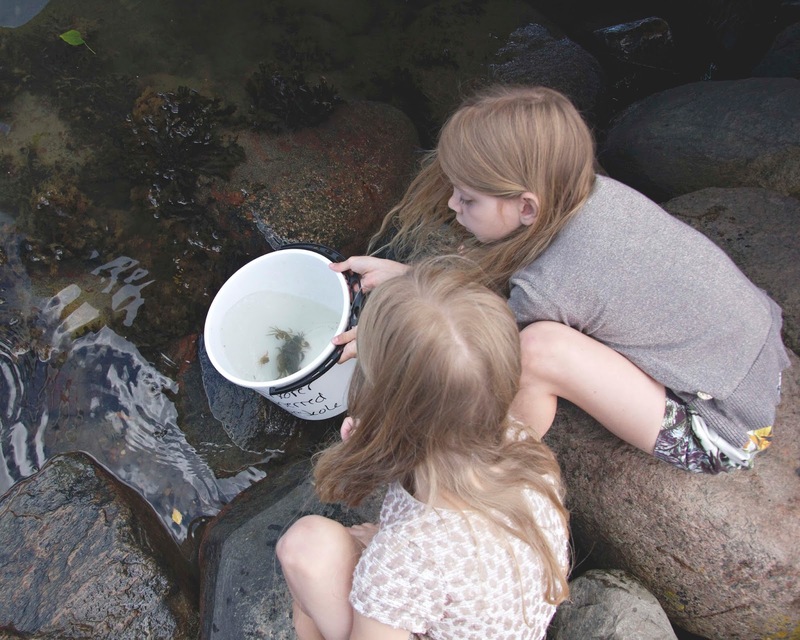 A bucket filled with seawater in which to keep the crabs you have caught until you are ready to throw them back again. Patience… And a little imagination. Where would you hide if you were a crab? That’s where you should be looking. We had most luck under the jetty, between the rocks. The crabs loved it there, and we were raking them in. A steady hand… When you think you have caught a crab pull the line up very carefully and try to avoid knocking it against anything that might make it fall off your line. I also need to remind you to keep a close eye on your kids, as even shallow water can be dangerous. 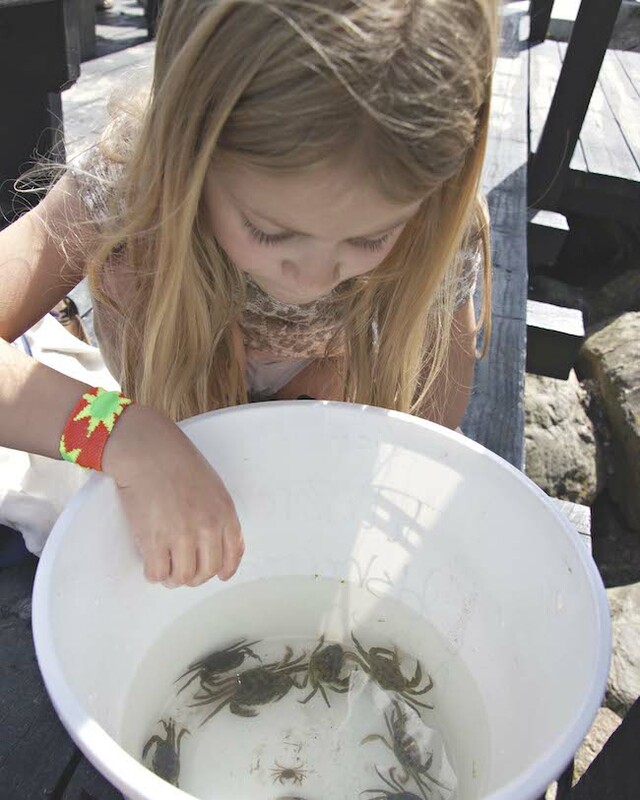 If they can’t swim put a life vest on them.Happy crabbing, and enjoy one of the most hyggelige activities of the summer. Naturally, every single crab got thrown back into the sea afterwards. Ohh how marvellous – did you catch crabs as well. I would love to visit Nantucket Island – my friend used to work there when we were younger, she said it was a stunning place.